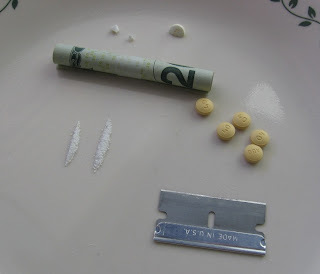 OXYCONTIN and OPIATE ADDICTION-A Mother's Story: How did I get to be here? Blessings from another Mom of an addict :) I'm so glad you're doing this! And so glad you got to see him. It's a long hard road we are all on but our God is faithful! He will not waste our pain. He will use our pain to draw us closer to Him and to cause us to grow into the women He intends for us to be! Love you sis! Hang in there! May the peace that transcends all our understanding be with you! 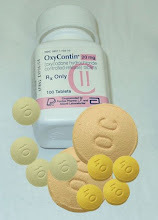 I appreciate your voice, as an addict myself i find it hard to explain to others the troubles that are associated with getting clean- my mother as well knows them all two well- with both her son and daughter addicted to OxyContin. Thank you for writing. My son (22) has just confessed to being an addict. We are just beginning our journey. Forth thought:Don't give advice as it is so empty, give love. Seventh thought: God's perfect number--my love, prayer and thoughts are with you! I just found your blog and it is a Godsend. I am not alone! My son is an opiate addict, in and out of recovery. He has a sponsor and has started the 12 steps...once again. The first time he did was this past summer, with his first sponsor. Life has been hellish when he's using, always afraid of a relapse when he's clean. I would like to hug you, mom, and just let you know what a good mom you are to your son, B, and a good wife you are to your husband, C. I look forward to reading more of your blog and I pray for your son's recovery, as well as peace for you. I am going to-be 25 this year in August and I am an addict son of a loving struggling Mother. 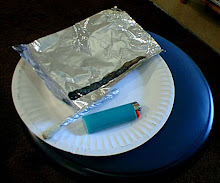 I have always been using one thing or another since my early highschool years. I have always found a way out until I landed on opiates which lead me to Heroin and there I finally fell into a deep pit. My mother always knew something was wrong but I recently came out and confessed. Even after that I have done terrible things to get by. I know that the things I am doing bring her pain but my addiction controls me now. I feel like I am this evil thing's puppet. I have tried many times to quit and I can honestly say that I have had enough of hurting her and myself and destroying my life. This will not continue beyond this very second. More to the point, this blog has helped me understand what she is going through. You and my mother are alike in very many ways and even though I hear a lot of the same things come out of her mouth when she speaks with me. This is just that extra cherry ontop that is making me fully understand how it is to be the parent of a child addicted. I hope this makes sense. Thank you for writing this. I have also shared it with my mother in hopes that it will comfort her in some way possible. Again, thank you and God Bless.